​Setting your cat up at home for success! By setting our cats up for success with their happiness at home we not only increase their emotional and physical health and wellbeing, we will also increase the bond between you and your cat, whilst decreasing unwanted behaviours such as aggression, inappropriate urination, vocalisation, scratching etc. In the case of the multi-cat household, setting up for success can decrease the stress that is often associated with these situations. Cats were once thought to be antisocial and solitary animals that only came together for breeding. However, in the past 20 years studies have indicated that this is not the case. Cats live in flexible social systems which results in some cats that prefer to be solitary and others that consist of multiple cat social systems. Siblings are much more likely to have a positive outcome in a multiple cat household than those introduced later in life, however saying that, it can be done. I currently have 5 cats (2 x 10 year old siblings – male and female, 1 x 1 year old male, and 2 x 8 month old siblings – male and female). The introductions were completed slowly and ensuring all the needs were met for each cat. The cats that had the most trouble integrating were the females. How can you tell that your cats actually get along, and are not just merely tolerating each other? Look for allorubbing (two cats rub bodies, heads and tails on each other) and allogrooming (one cat licks another – usually head and neck). Play and resting together can also be an indication of social bonds within a group. If the needs below are not met in a multiple cat household for ALL of the cats, it is likely that the cats will be stressed and may not get along or enjoy each other’s company. This can result in conflict and illness. You need to provide multiple of each type (at least 2 for a single cat and a minimum of one more than the number of cats you have in a multiple cat household). A big factor in creating cat happiness is choice. What are resources when it comes to our cats? Choice is especially important when it comes down to things such as resting areas, hiding and toileting. Let’s now consider each resource alone. Food is valuable – ask any cat that thinks its bowl is empty just because it can see the bottom (there is plenty of food around the edge). If you are using wet food – make sure your cat eats it when offered, otherwise remove it before it spoils or attracts vermin/flies. ​Use multiple food sources – some cats will prefer elevated areas to eat, and some hidden away. You can also use food enrichment toys for cats and get them “hunting” for their food by going on a breakfast biscuit forage. ​My cats use multiple different food enrichment toys as well as hunt for hidden biscuits located on their scratching posts, in tunnels etc. A little known fact – cats generally don’t like to drink where they eat. This could be the reason that they steal your water from the glass or demand you get up and turn on the tap for them. Set up multiple water sources around the place and away from food. Some cats prefer running water- you can purchase cat drinking fountains that recycle the water through a filtration system and these also encourage cats to drink. This is especially important in renal failure cats, and those with a history of Feline Lower Urinary Tract Disease (FLUTD). Many cats will have a substrate preference – usually what they were started on as kittens. Changing the litter suddenly can result in inappropriate toileting habits. As a general rule you should have a minimum of 1 more litter box than the number of cats. The litter box should a 1.5 times the length of your cat (most boxes are too small). Plastic storage boxes make good litter boxes. Some cats prefer covered boxes, some elevated boxes. The litter box should offer privacy and in the case of multiple cat households, should be located in various areas so no one cat can guard the box. The litter should be replaced regularly (at least twice weekly) and the faeces should be removed as soon as possible (at least daily). The litter box should be washed using an enzymatic cleaner, rinsed well and allowed to dry in the sun once weekly. The litter box should be replaced yearly – plastic absorbs and retains odour over time.For more information on litter boxes check out Choosing a Litter Tray or ask for handout # 51. Cats generally like to sleep in an elevated area, though some may choose a hiding spot under a chair etc. As most cat owners will have observed, cats do spend a large part of their day sleeping. Cats will generally rest alone (even in multiple cat households), so it is important that there are an appropriate number of comfortable resting spots available. Remember choice is key. Resting spaces should ideally be just big enough for one cat, this in itself will help to reduce conflict in multiple cat households. In addition to open resting areas, you should have areas that your cat can retreat – these include dome beds and cat caves etc, or bookshelves etc. Don’t forget to give your cat access to its cat carrier at all times – use it as a safe space and bed, and not just when going to the dreaded vet or cattery. Using vertical space will allow your cat to monitor its environment and creates “safe” places. My cats love their elevated hammock beds and scratching post hides, as well as these cat caves purchased from my local Kmart for $25. All cats need to scratch. Our cats scratch to maintain the health of their paws and claws, stretch their muscles, reduce stress, visually mark territory, as well as to leave scent markings. Cats can also scratch furniture as an attention seeking behaviour to attract your attention. Choose a large well weighted scratching post so that it won’t rock or fall when your adult cat uses it. Cats can prefer horizontal or vertical surfaces – so ensure you have both. Variety of textures is important as well and can include carpet, cardboard, sisal, natural wood (branches), and astroturf etc. Position scratching posts at places of entry or exit and also near resting areas. If your cat is scratching a particular piece of furniture try putting the scratching post near this area. ​For more detailed information on choosing a good scratching post visit Choosing a Scratching Post or ask for handout # 81. Cats should have opportunity to play, explore, exercise and practice predatory behaviours. This doesn’t mean that you need to provide your cat with live prey to catch, quite the opposite. Provide toys that have randomised movements and allow your cats to practice their pouncing, stalking etc. These can include rolling toys, feathers, remote controlled toys, laser pointers (used with caution) and interactive fishing pole games. Some cats even like playing on iPads! Use food in enrichment toys to promote play, paw pushing and rolling, scratching to get food etc. Have tunnels and climbing areas so that your cat can chase, run, hide and practice all things cat. If you have an indoor cat, consider a cat wheel, or harness and leash training to allow outside time. ​Be cautious with toys that have small parts or contain string – these could be swallowed and should only be used under direct supervision. Spending time with your cat should be enjoyable for both. Not all cats will want to play and not all cats will want to cuddle – listen to your cat and provide choice and opportunity. Have interactive play sessions with your cat using the pole toys, or laser pointer – if they enjoy these interactions. Some cats like grooming with a soft mitt, brush or comb – it will depend on your cat’s fur length and its general coat condition. Cats are smart – they can be trained just as you would any other animal – train your cat basic behaviours such as sit, and then move on to more complicated tasks. Training your cat to be still, take medication etc, is also useful for handing and allows them further choice and control when the time is needed at a veterinary clinic etc. Do you know where most cats like to be touched and not touched? Most cats prefer to be patted and scratched on the head, cheek or chin. Remember to allow them choice – offer your hand and see if they move in to you for the interaction. Some cats that don’t like physical contact with a human, actually enjoy be patted in the same areas with something like a long strong feather. Don’t pat the cat on the belly – cats will often offer the belly to you, however they are not asking for a belly rub, more showing you that they are comfortable in your presence. Allow secure or safe viewing platforms for indoor cats. Audio-visual products – if you have an indoor cat – a simple search on YouTube will bring up a list of interactive videos for our cats to be entertained. Catnip – some cats enjoy catnip a lot, others not so much – experiment with your cat. Cat Mint – Gecko loves rolling in cat mint! Cat Grass – allowing cats access to grass to chew can help them eliminate trichobezoars (hairballs) and many just enjoy the opportunity to graze. Avoid cleaning products that contain citrus – these can be aversive for cats (and dogs). Pheromones – I use and really recommend the use of Feliway (a synthetic version of feline facial pheromone F3). This is especially useful in times of stress (vet visits, strangers visiting the house, multiple cat households etc). Above all enjoy your cats. Set things up for success and you will have a happier healthier feline. Allan, T. (2014). Keeping cats Happy - Choosing a scratching post. [online] All Pets Education and Training. Available at: http://www.allpetseducationandtraining.com.au/keeping-cats-happy---choosing-a-scratching-post.html [Accessed 27 Jun. 2017]. Allan, T. (2015). Keeping Cats Happy - Choosing a Litter Tray. 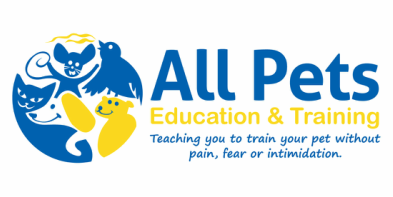 [online] All Pets Education and Training. Available at: http://www.allpetseducationandtraining.com.au/keeping-cats-happy---choosing-a-litter-tray.html [Accessed 27 Jun. 2017]. Ellis, S., Rodan, I., Carney, H., Heath, S., Rochlitz, I., Shearburn, L., Sundahl, E. and Westropp, J. (2013). AAFP and ISFM Feline Environmental Needs Guidelines. Journal of Feline Medicine and Surgery, 15(3), pp.219-230. Horwitz, D. and Mills, D. (n.d.). BSAVA manual of canine and feline behavioural medicine. Mills, D., Braem Dube, M. and Zulch, H. (2013). Stress and pheromonatherapy in small animal clinical behaviour. Oxford: Wiley-Blackwell. Overall, K. (n.d.). Manual of clinical behavioral medicine for dogs and cats.